Really excited about these best Hublot Watch Reviews revealing a potential once in a lifetime home run for investment watch buyers. 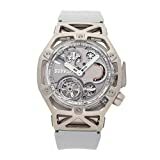 Finally here it is, the Best Hublot Watches Reviews for the best selling and coolest Hublot Watches. Hublot is a leading world class Swiss watch brand, surprisingly being only founded in 1980. Hublot is owned by the luxury products group LVMH to which TAG Heuer, Bulgari, Zenith and Louis Vuitton are also owned. Since Jean-Claude Biver rose to CEO in 2004 Hublot rapidly grew very successful. Since then Hublot has sponsored a number of large sport and celebrity events and has created watch collections in collaboration with many leading VIPs whilst deploying heavy marketing activities to position the brand and its models. These really cool watches dominate ultra luxury expensive watches brands categories. 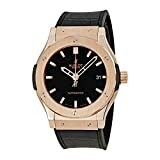 These latest and Best Hublot Watches Reviews will also be able to guide you to the lowest prices available online with global door-to-door shipping. 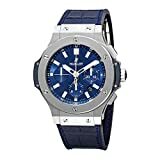 Choose your favorite Hublot Watch from our reviewed listings and save to the shopping cart so that you can easily complete the purchase when ready. Hublot watches are easily recognisable by those in the know and are created to take the spotlight wherever they appear on the scene. The Best Hublot Watches are amongst the most perfect “Heavy Hitting” top 10 glitzy glamorous watch brands that enjoy the limelight in any outfit and on any occasion. Our individual product featured reviews will give a more in depth appreciation of each product specification as well as incorporating our own Full Review and analysis. 2 How good are Hublot watches? 3 What is the Warranty like for Hublot watches? In the study of horology we can see that during the last hundred odd years the most elite of watchmakers have shifted hands from the likes of Omega and Longines to the relatively modern trinity of Patek Philippe, Audemars Piguet and Vacheron Constantin. When we look at Hublot and whether or not it is a serious brand we notice that the watch brands mentioned above have histories that date back well over 100 years or so. Surprisingly Hublot hasn’t even scratched 40 years old. Could it be argued that Hublot is the face of ‘modern horology’. How good are Hublot watches? Searching the internet watch forums, occassionally forum discussions might discuss and compare Hublot with the big three. 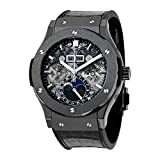 Commentators for example will present the case that while Hublot is recognised as a decent watchmaker, it should not to be considered at the same level as Audemars Piguet. Some will say that it is a really nice, slick and heavily marketed watch brand! Whatever reservation some horologists may have had, come 2010 any and all doubts should have been crushed by Hublot. In 2010, Hublot bought out the watch movement maker BNB Concept through which eventually came the UNICO to replace chronograph. The UNICO calibre was equipped with carbon fibre main plates. The use of new materials was bold and daring to the point that there was simply no reference point with which to make judgement. Previously every watch watch produced by the various Watch Houses were storied descendants or at times, at least tangentially related to some other remarkable reference point. For Hublot, that was not the case as no such comparison could be made. The UNICO was put to test in 2013 within a greater variety of models, producing an updated Big Bang. Its rise came with the success with Hublot’s collaboration with Ferrari. Hublot’s outstanding and distinctive design and the larger than life 45mm timepiece styling came with an almost un-scratchable blend of ceramic and gold. This fusion-mix helped propel Hublot onto the hotspot of horlogy with a Big Bang hardly ever witnessed before. The UNICO HUB1242 flyback chronograph is everything one can expect from a world class watchmaker. Having a heavy 72 hours power reserve with an efficient bi-directional winding rotor and complex (330 parts). No doubt many “traditional watch collectors” still cannot fathom the seismic change offered by the use of heretofore unused materials but it is damn hard to argue with the tradition and timelessness of such an innovative flyback chronograph. It is worth noting that not even the Royal Oak Offshore chronograph watches do not have an integrated in-house movement (calibre 3120) comparable to the UNICO. No doubt this is an awesome portent of further greatness to come from the stables of Hublot. What is the Warranty like for Hublot watches? Hublot watches are covered by a limited international guarantee against any manufacturing defect for a period of two years from the date of purchase, and for a period of one year after repair. See terms and conditions. Although Hublot was aggressively marketed in the early days the truth is, no other watchmaker has achieved such name and fame amongst the elite with never ending deep pockets as quickly as Hublot has. Hublot now create around 40,000 units annually enabling them to invest heavily in research and development rather like how the big boys in former times had the luxury to do so. It is evident that their rise to success is a product of their brilliance in innovation and master watchmaking skills. Being only 40 years old, Hublot has done what the creators of the tourbillon and repeaters did, i.e. innovations which raised the playing field of the industry to the hitherto lofty levels, now considered to be indicators of the core competence of watchmakers. Yes Hublot seem to have created a new benchmark of excellence. We have to conclude, Yes Hublot is indeed a serious watchmaker. It is expected that within another 40 years or so, Hublot may well continue to be still standing amongst the most elite of the watchmaking industry bolstered with those innovations born only a few years ago. The question we should ask is how much would it be worth for us to be there at the birth of many of our most eminent and prestigeous watch brands today? Following on, how many of us would love to say in 50 or so years time that we were there when the first Hublot watches rolled out of the production lines? This could be the best time to invest in Hublot watches right now at the beginning of the new revolution in horology. 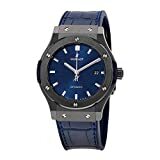 Save your favorite Hublot watch to the shopping cart so that you are able to complete the purchase when you are sure that Hublot watches are the best investment watches to buy right now! 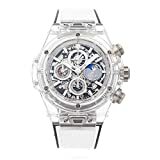 Another Top 10 cool watches Review from the Top 10 ultra luxury and ultra expensive watch brands by WatchiWatches, the best watch review site for investment watches. 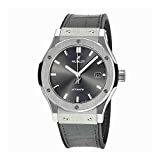 Get your most suitable and favourite watch after studying the latest investment watches in the latest and best Hublot Watches Reviews.